I'm opening up the playbook. I mentioned before, as well as in the last post, that I feared the High Notes segment was at the risk of going stale. That fact combined with the fact that as much as I may like to, I can't spend every Saturday in front of college football, is leading me to expand my horizons a bit. While I won't always catch a full slate of games or marching bands, in any given weekend I'm likely to have an experience with football, marching band, other sports or marching/athletic music, or adjacents like pageantry, tailgating, travel, food, beer, and the like. No reason those can't be high notes! Back during Week 2, I made my way west to Winston Salem to catch Adam Goldstein on his book tour at Winston's Book Marks Festival. Adam wrote Tailgate to Heaven, which chronicles his trip to all 31 NFL stadiums and 40 football games overall in one season. Adam hails from the UK but fell in love with the Chicago Bears, American football and the NFL at a young age, and upon his journey, he became quite inculcated with tailgating as well. The book first hit my radar over the summer, both through the folks at Tailgating Ideas and through Adam reaching out early to me for publicity (before I had gotten into the rhythm of checking the e-mail associated with the blog; it was a missed opportunity on my part) and I picked it up shortly after its release. I'd highly recommend the book for those who want a peek into tailgating all 32 NFL teams, or even just an insightful, humorous take on what the experience was like, as well as a snippet of cultural anthropology as a chap from England checks out our strange American customs, particularly those surrounding football. 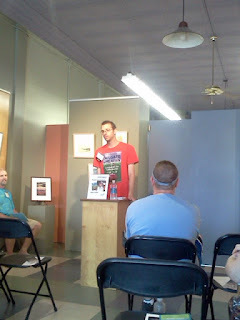 Getting to catch Adam on his book tour and hear him speak was particularly cool, and I even got the book signed and got to chat with him for a bit following his talk. Last weekend, during Week 3, The Spirit of America rolled through town. 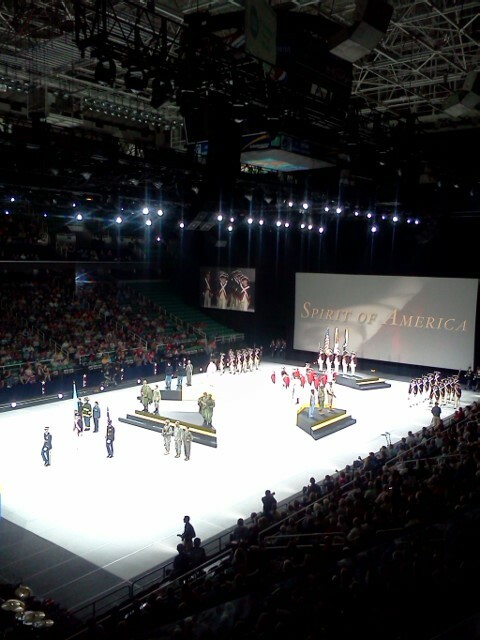 Spirit of America is a production that follows the United States Army and the experience of the American soldier from the American Revolution through present day, set to music and theatrics. Some would write it off as a traveling propaganda show for our armed forces, but I loved it for the music, the show, the history lesson, and sentimentally, as the brother of a soldier. The show featured several of the Army's ensembles, including the Old Guard Fife and Drum Corps, Caisson Platoon, and Drill Team; as well as the Commander-in-Chief's Guard, Continental Color Guard, and units of Pershing's Own, the US Army Band: The Ceremonial Band, Orchestra, Concert Band, and Downrange, its popular music ensemble. In addition to the retrospective, they gave a nod to our other armed forces by closing with each branch's song. If you should find Spirit of America in a city near you, I definitely recommend checking it out, especially since it's free.